Well here we are at Day 21! I hope that you are still enjoying the tag inspiration. I think I could go on forever with these tiny little canvases. 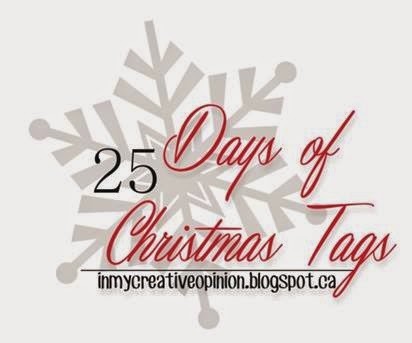 Keep loading your tags into the 25 Days of Christmas Tags Flickr Group, they look fantastic. 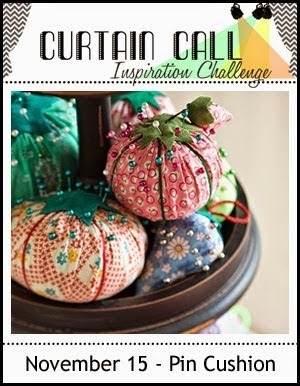 Another treat for you today as I have the Curtain Call Crew from the Curtain Call Inspiration Challenge guesting with me today. 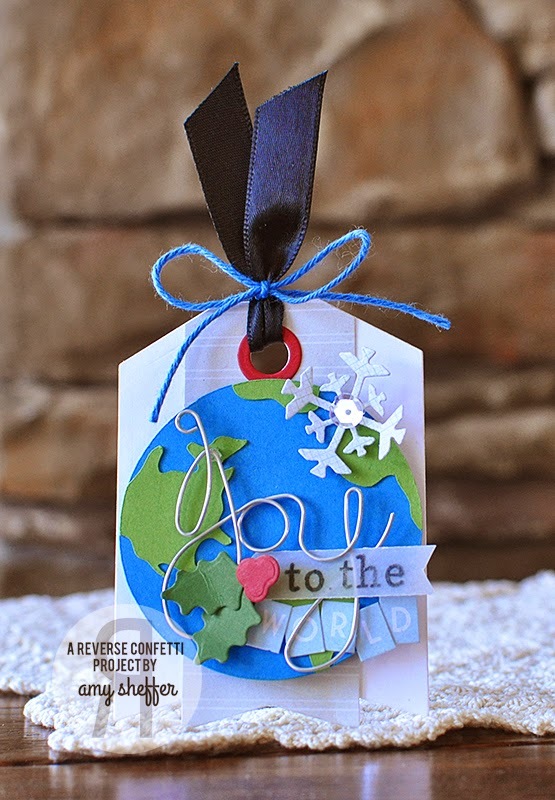 We are sharing Christmas tags that are inspired by the current challenge Pin Cusion. You still have one more day left to link up to Pin Cushion HERE. For my design I wanted a more homespun feel, so I used dies with stitching detail for all of my elements and used the colours in the Pin Cushion Inspiration. For a chance to win one of the prizes leave me a comment telling me if your Christmas style is more traditional, country or modern? Thank you to the Curtain Call Crew for sharing with me today as my guests. Don't forget to comment on each of their blogs for another chance to win! Fabulous tags from the team. I love the gingham on your tag Tracey. Yay! All the tags are wonderful! Ooooooh. Love all of these!! What a line up of designers! Love seeing their different styles Tracey. I guess my Christmas style is traditional. Great eye candy this morning! My Christmas style is pretty traditional. Beautiful tags once again Tracey! My décor for Christmas is traditional. Hi there, fellow Canadian! I'm in Nova Scotia :-) My Christmas style would be more traditional - this comes from my childhood - great Christmas memories! 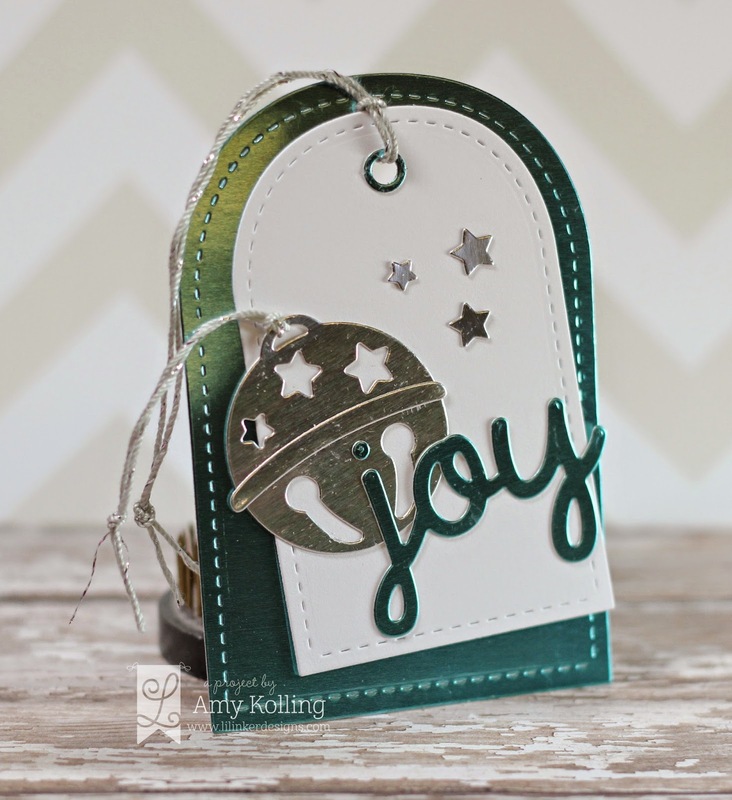 Great tags today - I love seeing all the different tag shapes and dies that everyone uses! I can't believe we're on Day 21 of 25 already! Wow, what a gallery of tags! I seriously need to start making some myself! I'm a very traditional girl when it comes to Christmas. My style is a combination of traditional and country. Love each and every tag! We are a blend of traditional and modern at our house. I'd prefer modern,mouth the collection started when we were still traditional, and how can you NOT put everything out?! Amazing tags today - wow! So many wonderful ideas! I have a traditional Christmas style. 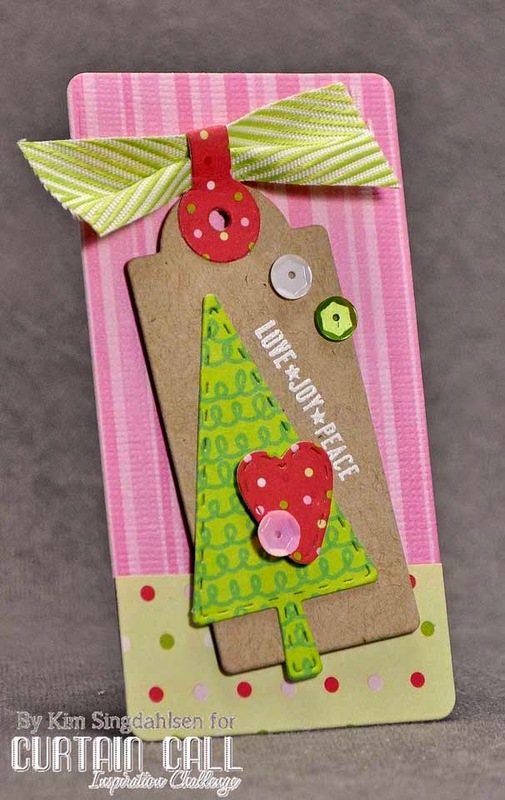 Love the bookmark die as a tag. Love all these fab tags! My style is traditional. These are amazing! Love seeing so many different tags and styles! Very fun tags today! I really like your homespun one! I love gingham. It looks great on this cute tag. I don't have a real Christmas style but I suppose I like the traditional use of colors and symbols. Probably also lean toward country. My style leans more towards the traditional but with a bit of whimsy! Thanks for the wonderful opportunity to play along with your challenge, Tracey :) So. Much. Fun!!! Love your country tag too. HUGS! Love The colors in your tag. I'm definitely a traditionalist when it comes to holiday stuff. But I've definitely been known to do cutesy too!!! Great group of very festive tags! I think my Christmas style is on the traditional side with a smidge of modern thrown in. What a fabulous event and so much inspiration! Thanks so much for letting me join in! I would say my Christmas style is more traditional. The tag is so pretty. It does feel homespun. I don't know what my decorating style is - I don't do a lot any more. Probably more modern I guess. I like your vintage look tag. Very cute. Oh so much inspiration in one place! These are all lovely! 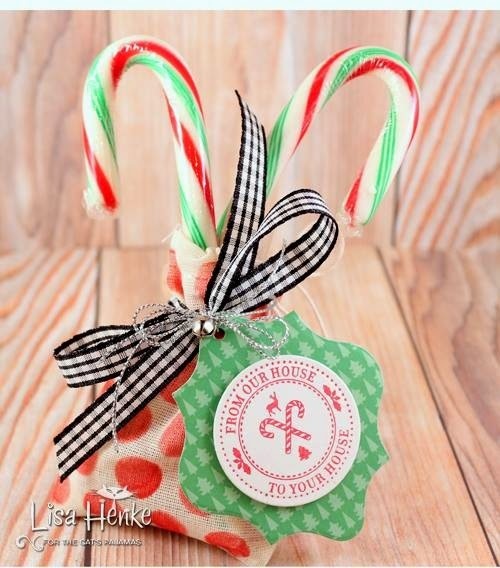 Your little gingham tag is just adorable Tracey! My Christmas style is all of them! haha! Sounds funny, but I get tired of one thing and I love all of those styles, so in different places in the house, I have a little bit of all of it! Wow on the tags! I'm a traditional decor type person myself! Thanks for another day of great tag inspiration! I tend to lean toward the more traditional Christmas. My happiest memories as a child at Christmas were with my grandparents, and I think that's where a lot of my style and traditions come from. awesome tags today! love your sweet tree on that gingham background! forgot to say I like traditional! wow these are all amazing.. I have enjoyed all of these awesome tags. . can't wait to see more. How can it go on, day after day, so much incredible inspiration and no repeats ever. Love the creations for today. Hmmm.. my Christmas style is beachy Jewish. How's that? Beautiful tags from the Curtain Call team! I really love that you chose the stitching detail for your tag today! The tree is so charming and I love, love the red and white gingham paper...it's just perfect! awesome tags! love the joy dies! Lots of cute little tags today. I love your gingham. Wow...what a wonderful collection of tags! I love them all and all the wonderful inspiration too. Love all these tags today....awesome inspiration. My taste runs a little along the whimsical so I am not sure which of your catagories that falls into....maybe modern? Once again I just love the variety here today!! 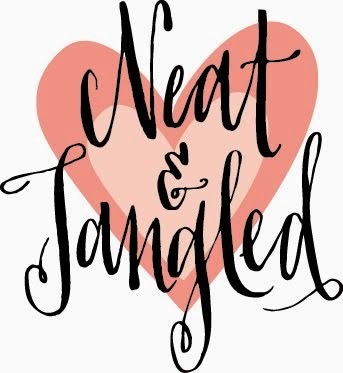 And your sweet gingham tag has a wonderful homespun country feel!! 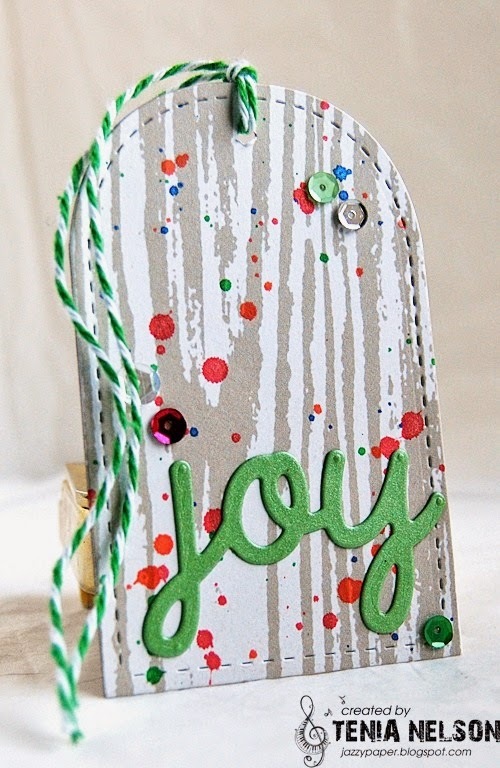 Love these whimsical tag design!! 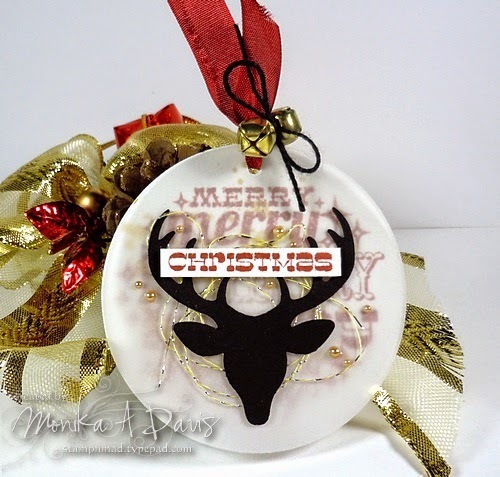 That big bell die cut is fabulous! 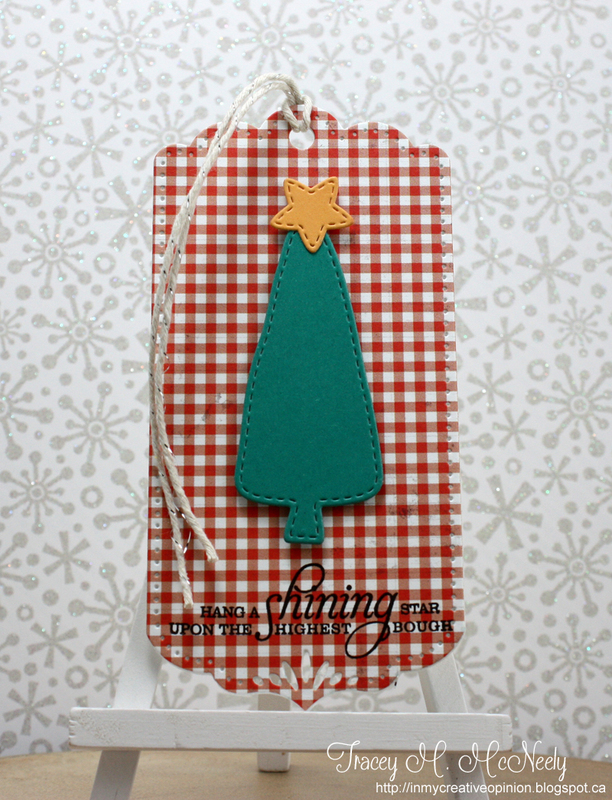 LOVE your tag Tracey, the stitched edges of your Christmas Tree & star look so SWEET against the pretty shaped gingham base!!! THIS YEAR I am going with modern style and feel quite excited to be so ADVENTUROUS!!! An amazing variety of tags today!! Off to craft a few more! I think that my holiday style is modern/traditional combo! Love the tags today. I am a traditional color stamper- red, green, white but I mast say that this year I ventured into shades of blue and even teal, pink, red and green-thanks to Lawn Fawn. Wow what great tags! I love your stitched christmas tree. Lovely tags! You've inspired me with some great tag ideas. We stick to more traditional in our home! I love all these tags! What a great idea so close to Christmas. My Christmas is country! Tracey, your tag has a real 'homey' look to it. It's great to see all these different designs. I would say that I am more traditional in my decorating style. Great tags! Such inspiration. I don't guess I really have a Christmas style. My home Christmas decor lambs toward country but in paper crafting in all over the place. I just do what the stamps tell me to do! I'm probably more whimsical than anything. Another array of amazing with these tags, Tracey! Your gingham tag with the sweet tree: swoon alert! LOVE this! ohhhh soooo gorgeous!! I'm drooling.. Funny how gingham can automatically make something a little bit country!! I'm definitely a modern Xmas girl, lots of white and no layers. Love them all! Mostly traditional is what I use! I love all these tags. My style is more modern. I like clean and simple with bright colors. So much fun variety with this group. You've gotten the whole card crafting community involved! I guess I have a little bit of mix of traditional and modern. These tags are utterly amazing! I am so glad everyone has such creativity to share! Awesome tags! My Christmas style is definitely more traditional. Love your tag, Tracey. You totally captured that fabric-y goodness. Love all these tags and am CASEing them as we speak lol! I'm more traditional in what I make but sometimes go outside the box - thanks for sharing! cannot believe what a lovely variety there is today--love! Great collection of tags! I'm so impressed! Fabulous tags by all! Love your country design! We have a lot of nature themed decorations and I guess the style is mostly country. These tags are providing a lot of inspiration. I'm more of a traditionalist but I also like a contemporary Christmas style. These are amazing! Truthfully, my Christmas style is all 3, so much so that before kiddos I actually decorated 3 different trees each year. I just could never decide what style/decorations I liked, so I used them all. 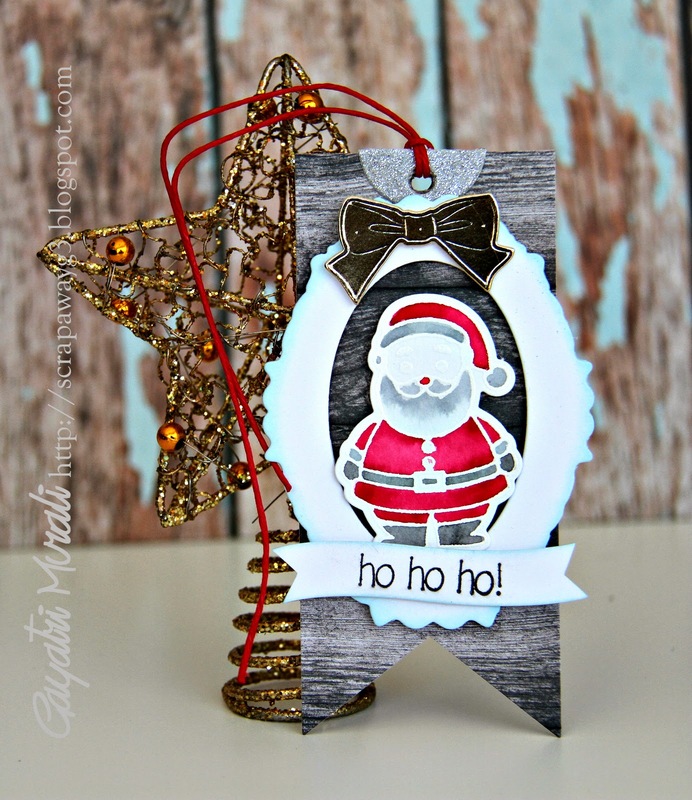 I love all christmas styles - depends on my mood! I'm definitely making non traditional style a lot more this year. Love, love, love all those tags! I am from Nova Scotia and we are kind of traditional & country. I guess its a comfort thing for us but we like a good mix of the two styles.